Animals played a surprisingly large role in the Salem Witch Trials of 1692. Since it was believed at the time that witches had animal familiars, or helpers, that they used to do their bidding, many villagers were often on the look out for these possessed animals, which were thought to take the form of almost any creature, from cats and dogs to birds, oxes, cows or pigs. Animals were also accused of witchcraft themselves and executed. The list of accused witches during the Salem Witch Trials includes not only women, men and children but also two dogs. In October of 1692, an afflicted girl in Andover accused a neighbor’s dog of trying to bewitch her. The villagers shot the dog immediately. Only after its death did the minister, Cotton Mather, declare the animal innocent. Mather reasoned that if the dog really was the devil in disguise, it would not be possible to kill it. Since the dog did die, Mather determined it was not bewitched and was therefore innocent. Around the same time, after a dog in Salem Village began behaving strangely, the afflicted girls of the village accused John Bradstreet of Andover of riding and tormenting the dog with his spirit. Although it was considered a victim, the people of Salem village killed the dog and Bradstreet fled Andover for the Piscataqua colony. Dogs were also used to identify witches. An example of this is when Tituba made a “witch cake” out of rye meal and the urine of the afflicted Salem Village girls and fed it to a dog in an attempt to find the person responsible for bewitching the girls. This was a traditional type of English counter magic that was supposed to cause the witch pain, therefore identifying the witch. Animals that suddenly became sick, injured or died without any apparent cause were thought be victims of witchcraft. 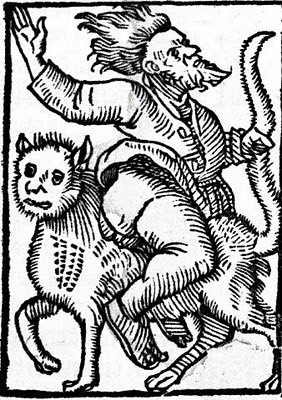 Villagers believed that witches kidnapped animals and rode them around to their witch meetings at night, resulting in weakness, injury, strange behavior and the eventual death of the animal. If an animal suddenly appeared tired or sick one morning, it was suspected of being “hag-ridden” the night before. In the modern world, the villager’s actions against these animals would be illegal. Instead of being cared for and looked after by their owners, these animals were abused and mistreated. 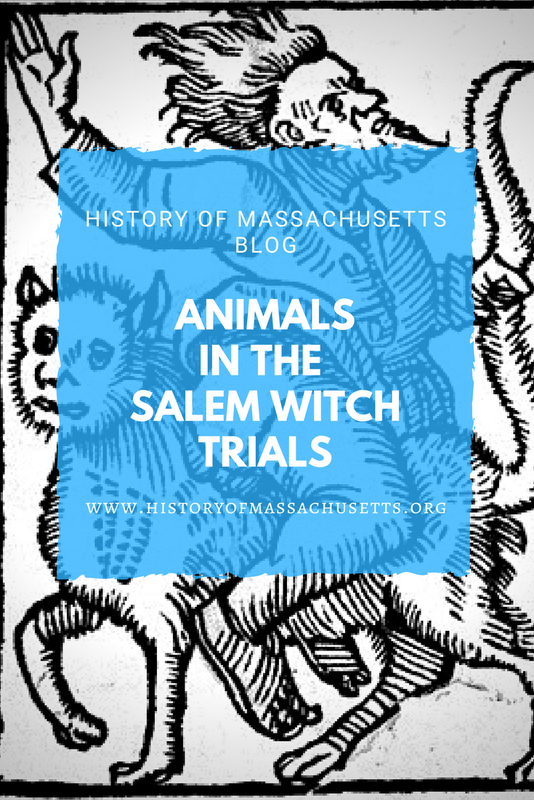 Whether they were considered victims or villains, animals were unwilling participants in the Salem Witch Trials and, much like their human counterparts, suffered because of it. Hill, Frances. The Salem Witch Trials Reader. De Capo Press, 1974. What were the names of the 2 dogs that were shot? I knew once and have forgotten. Also, are these the 2 alleged to have been hanged? Please clarify. Thank you. SEE?! I TRIED TO BEAT THE DEVIL OUT OF HER! NO ONE LISTENED! You’re a witch. Wiches wont tell of their witchcraft. We leave it to victims. You are a witch. The only way to tell someone is a witch is from the victims. this is so bizzare were people really that stupid?